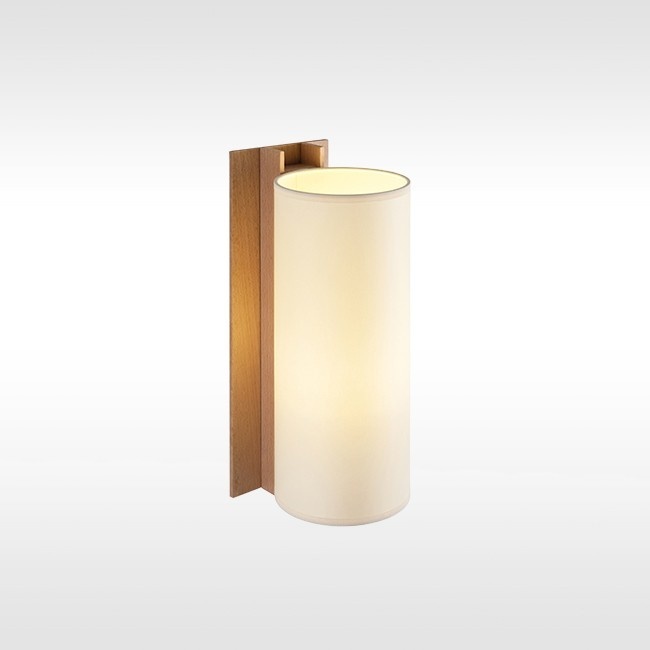 The TMM collection of short and long wall lamps comprises a simple beech channel into which the white or beige parchment shade is partially inserted. Size: ø shade 12 cm, h 34 cm and width beech holder 5 cm. The picture shows the lamp with a beige parchment shade. Lampshade in white or beige parchment. This wall lamp can also come with an exterior cable, which doubles up as the light switch. Simply switch on /off by pulling lightly on the cable. Or you can have a direct connection to the wall. A magical handmade lantern comprising a cherry wood structure that holds a light globe. Its oval volume and handle make it an iconic lamp to be placed both on tabletops and floors. Dimmer included.